As you can see, the natural beauty of Sharon alone is reason for many to choose it as their home. Protecting your Sharon home or business from the harmful and dangerous effects of pests, like termites, roaches, mosquitoes, ticks, rodents, and more that find the environment here in Sharon ideal, is a necessity. This is why Big Blue Bug Solutions has been protecting thousands of New England homes and businesses, including those here in Sharon, for more than 80 years. Many have come to know us for our unmatched pest control solutions and for our reputation for superior customer service; both of which can be experienced by each and every client that places their trust in us. When pests decide to invade your Sharon home or business, turn to the Big Blue Bug for safe, effective pest control solutions. The key to our success as wildlife management specialists here in Sharon and beyond lies in our goal to eradicate the problem, manage damage, and preserve natural resources. Our highly trained and certified wildlife specialists take a holistic approach when dealing with woodland creatures. Our objective is always to safely deal with these pests humanely, allowing them to live in the wild, where they belong. Our focus is keeping your property safe from the damages and diseases that wildlife tend to inflict. This is why we offer property specific solutions that focus on each particular pest on a case by case basis, ranging from live trapping and exclusion techniques to catch-and-release or habitat modification solutions. Whether you have bats in your eaves, skunks under your deck, squirrels in your attic, or raccoons in your garage, we have the safe, effective approach to solve your wildlife issues! No matter which woodland creatures decide to move onto your Sharon property, contact the experts here at Big Blue Bug Solutions to set up your free wildlife inspection. Remember, no wild animal is ever safe for you to approach without the proper knowledge and safety gear. You don’t get to stay in business for more than 80 years by accident. It takes hard work, dedication to your industry, and a commitment to provide superior customer service. When you offer safe services that work, are careful to treat each client with respect, and go ‘above and beyond’ what is required of you, you earn a reputation that lasts. This is the case for the experts here at Big Blue Bug Solutions. We take our job very seriously and take pride in our environmentally responsible approach to pest control; but this is nothing new for us. We have been practicing effective and responsible pest control solutions for more than 7 decades. It is a formula that has worked and one we plan on continuing well into the future. When you are faced with pest issues, choose the company that has a long standing, excellent reputation in our community! We understand local pest pressures, and know how to eliminate them without harm to the environment. We have invested much time in building trust that thousands of your friends and neighbors have come to know. 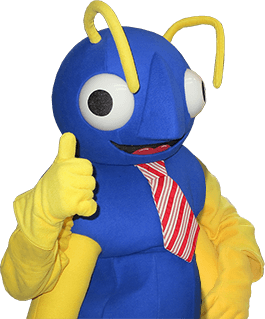 Big Blue Bug will treat you like family, rather than just a number in a national database. We are the one that responds quickly and offers fast emergency response and the one you can trust to be by your side through thick and through thin – Big Blue Bug Solutions. The only ONE for Sharon, Massachusetts, pest control solutions.